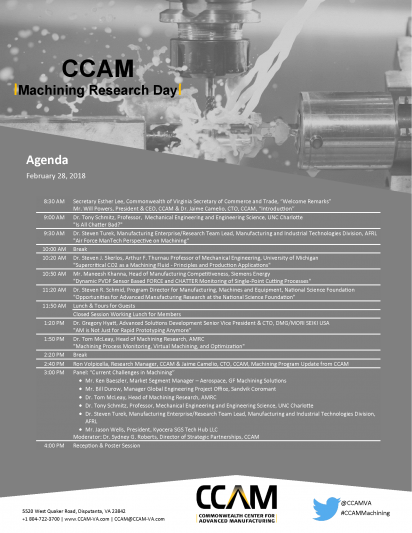 On February 28, 2018 CCAM hosted over 120 participants for Machining Research Day at their facility in Prince George County, Virginia. The focus was on machining technologies. Invited speakers included industry, academic, and government experts. The day was kicked off by Deputy Secretary of Commerce and Trade for the Commonwealth of Virginia, Brian Ball. Topics included cutting strategy optimization, process modeling, machining of high performance alloys and composites, sensing technologies for process monitoring and in-situ tool wear monitoring, laser-assisted machining, and machining of additive components. 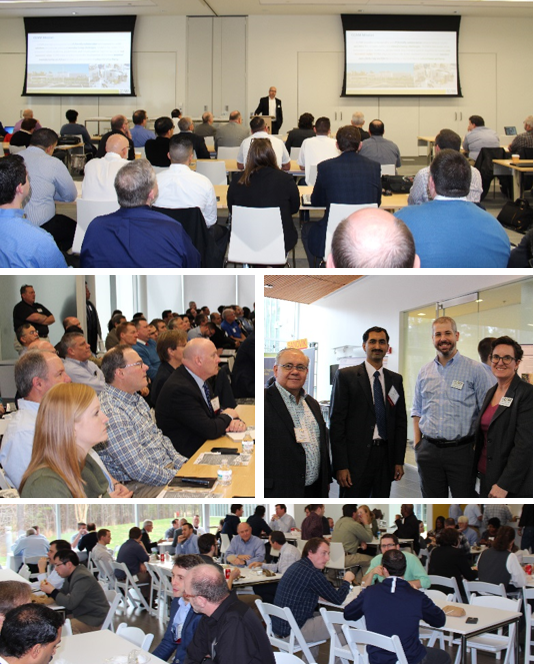 A panel discussion was held in the afternoon to discuss current opportunities and challenges in machining and workforce took center stage. The event included tours of CCAM’s facility and a reception and poster session.